It was on January 26th, 1930 when the Declaration of Indian Independence (Purna Swaraj) was proclaimed by the Indian National Congress as opposed to the Dominion status offered by the British empire. 20 years later, in 1950, as a mark of respect, India chose to become a republic on this very day. Ironically, cricket, which was a gift of the British empire to the Indians, is today the number one sport in the country. Over the years, cricket has given us Indians many moments to cherish. It is said that a picture is worth a thousand words. And today, as India celebrates its 68th Republic Day, we take a look at some of the iconic images that have defined Indian cricket over the past 67 years. Note – These images are in the chronological order of their occurrence. One of the first cricketing images to catch the eye of the Indians was that of a young helmet-less Sunil Gavaskar facing the Caribbean quicks. 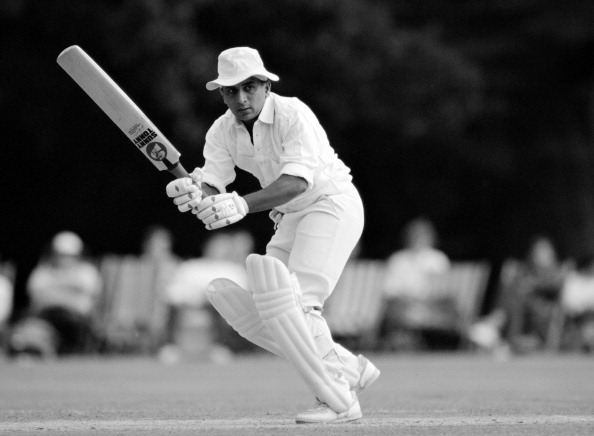 It was Gavaskar’s debut series and he ensured that it is remembered for ages to come. The bowling department was led by S Venkatraghvan, who captured 22 wickets in the series, and he was well supported by Bishen Singh Bedi (15 wickets in five matches) & EAS Prasanna (11 wickets in three matches). This series also saw India defeat the West Indies for the first time in a Test match and series. Like all the firsts in life, this series has a special place in the history of Indian cricket. Needless to say, this victory would not have been possible without that helmet-less Gavaskar’s strong defence.